Sweden’s Pain of Salvation have been releasing solid but overlooked progressive metal albums for nearly twenty years now. 2002’s Remedy Lane is arguably their finest moment, a concept album that encapsulated all facets of the prog metal spectrum as well as any band at the time. 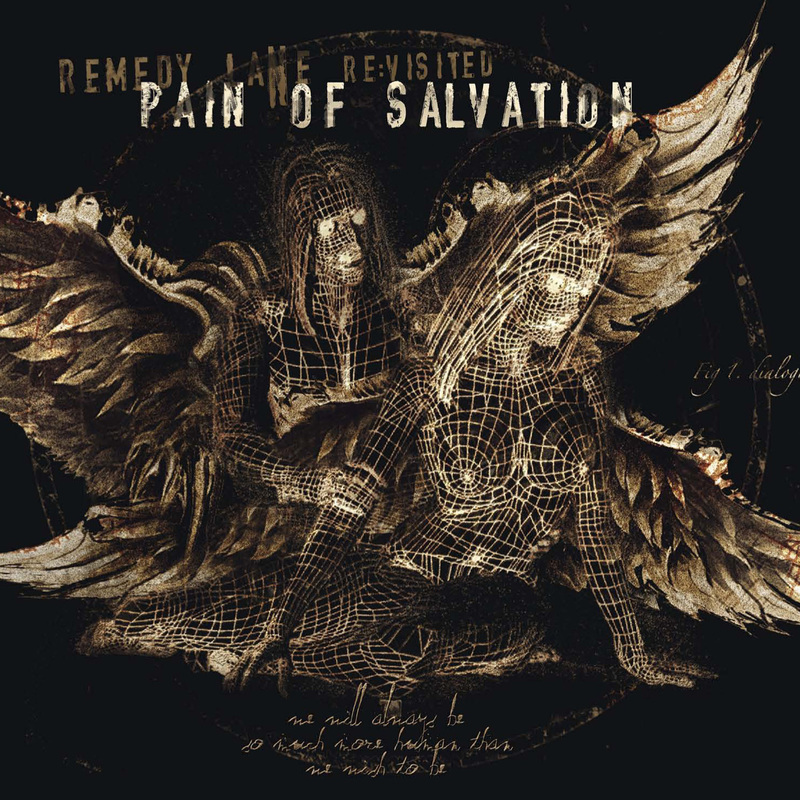 Remedy Lane Re:visited is a two-disc offering featuring a remix of the original album along with the 2014 ProgPower USA performance of the entire record. Both will hold a worthy appeal for Pain of Salvation’s fans as well as prog metal fans in general. For the sake of review, let’s quickly reexamine the original record. Remedy Lane was Pain of Salvation’s fourth album, and established the band as a credible force in the progressive metal scene. The album was comprised of songs that avoided the histrionics of more popular bands such as Dream Theater in favor of songwriting, musicality, and overall thematic elements that held all thirteen songs together (not to mention a far more versatile vocalist). Influenced by the usual ’70s prog bands such as Genesis and King Crimson, there are also hints of Faith No More. The climax of album closer “Beyond the Pale” is practically pulled straight from “The Real Thing,” and leader Daniel Gildenlow clearly looks up to Mike Patton. All told, Remedy Lane was an engaging and entertaining entry into the prog metal field, and a record that could more than hold its own among other release of the day from bands like Dream Theater and Symphony X. The first disc, Re:mixed, takes the original 2002 recordings and puts them in the more than capable hands of mixing engineer extraordinaire Jens Bogren (Opeth, Haken, Devin Townsend, and most recently the excellent new Fates Warning record. The results are as one would expect given that pedigree: the mix is thick, full, broad, and modern. The vitality of the original recordings shines through wonderfully. That’s not to say the original mix was poor; rather, Bogren’s take is far more lively and engaging. Re:lived is disc 2, and is Remedy Lane in its entirety from the 2014 ProgPower USA show. The concert version is true to the album with only a couple of exceptions. This disc opens with the off-kilter instrumental title track (on the studio album, the “Remedy Lane” song appears closer to the end, and doesn’t really fit in), and the folky, straightly-played “Dryad of the Woods” is all electric and two minutes longer due to an excellent solo tacked onto the end. The mix here is also solid, clearly demonstrating the band’s substantial abilities. Gildenlow shows his impressive talents both on guitar and vocally, hitting all the notes he does on the studio recordings. Remedy Lane Re:Visited will appeal to two crowds. Those who are fans of Pain of Salvation and already own the original version will want to update their collection to this offering for the overall improvements in the mix as well as the excellent live recording. Anyone new to the band will find this to be an outstanding launchpad into the their catalog. Pain of Salvation are working on a new album right now: let’s hope it comes close to Remedy Lane in quality.